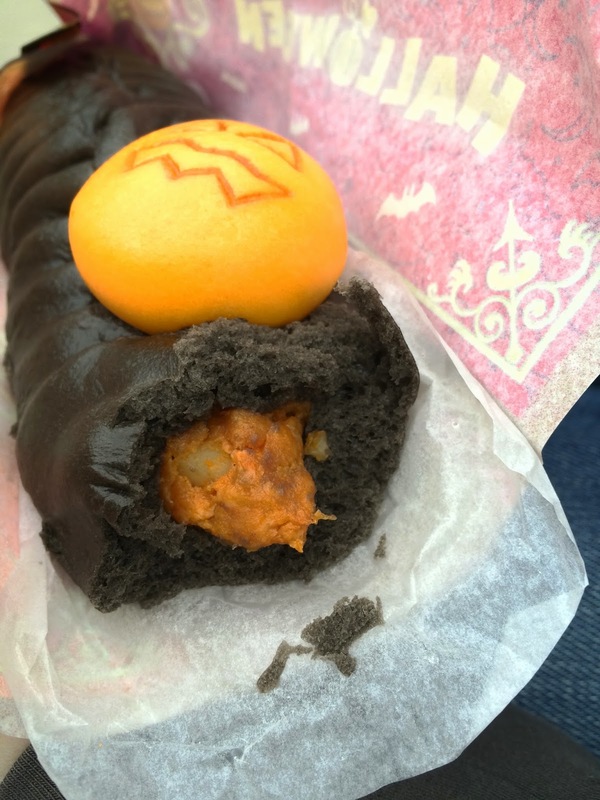 After enjoying the food at Dreamers Lounge, we went to DisneySea and had more Halloween limited snacks. 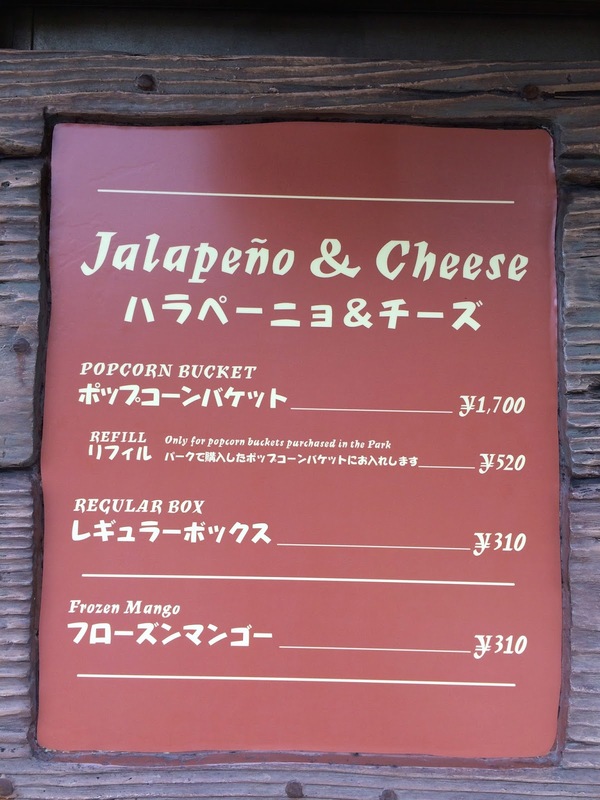 New popcorn flavor: Jalapeño & Cheese. 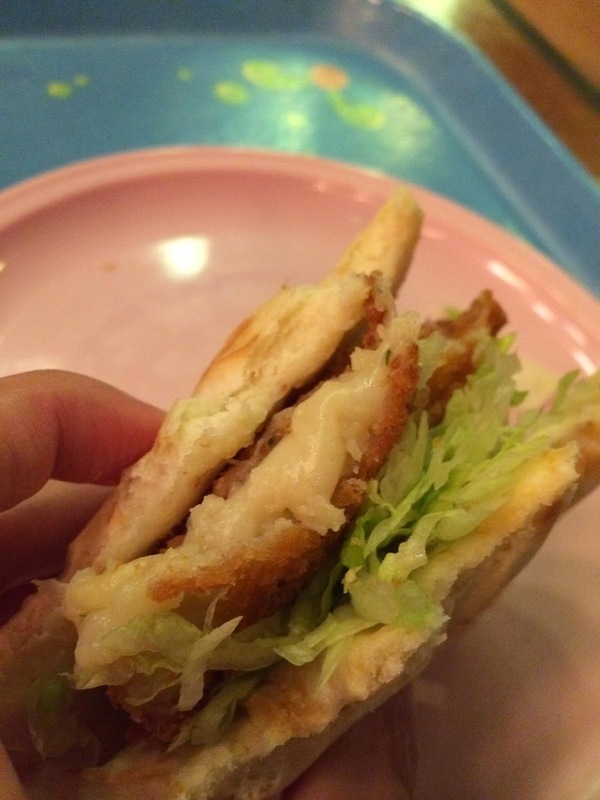 It had a strong cheese flavor with a bit of tangy spiciness. --- it's not spicy but had a little kick to it. I think this flavor is the best and wish they would sell this whole year. It's not Mickey-shaped but like a sparkly star. 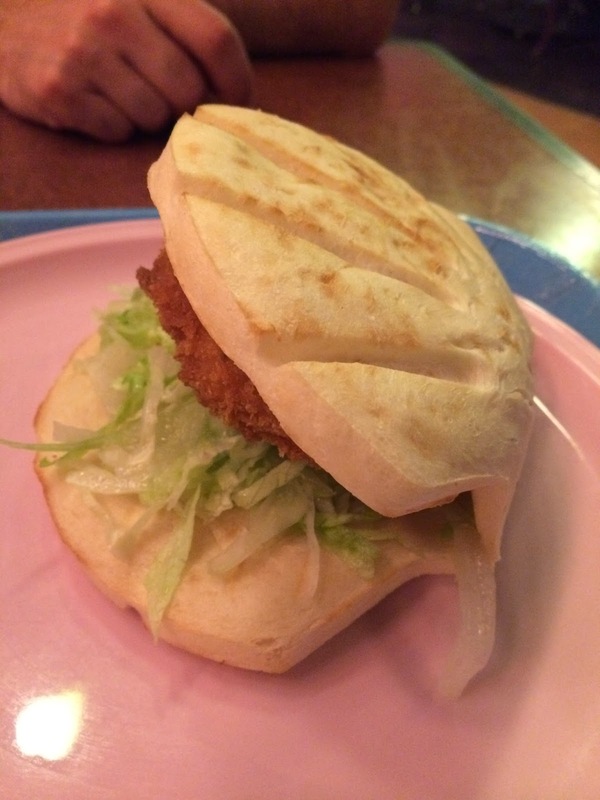 At Sebastian's Calypso Kitchen, they have scallop croquet sandwich through the year. And I asked them not to put tartar sauce. 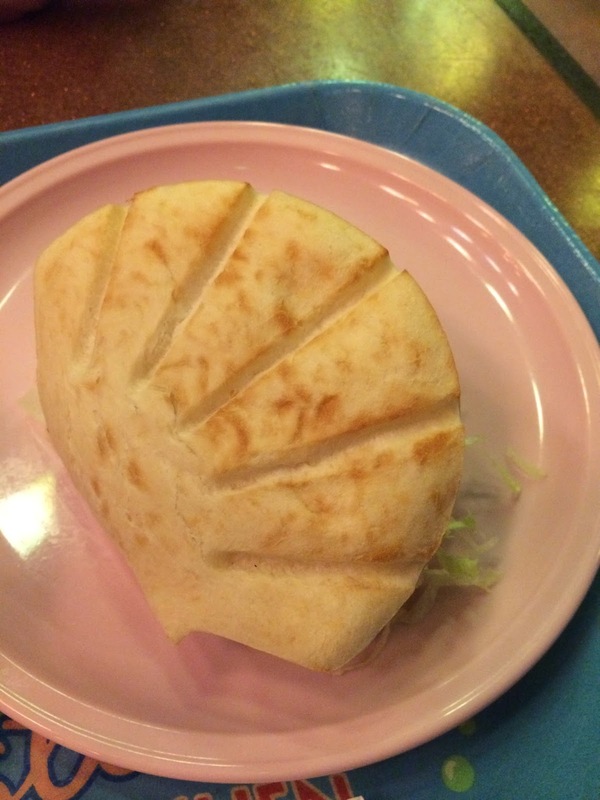 Shell-shaped bun was a one big piece while it looked like 2 pieces. The bun was chewy like pita bread, and the scallop croquet was very hot and creamy inside, but the breading was so crispy. Usually it's a white dough gyoza but during Halloween, the dough becomes black, the filling is orange, and there's a mini Jack O'Lantern bun filled with pumpkin on the top. 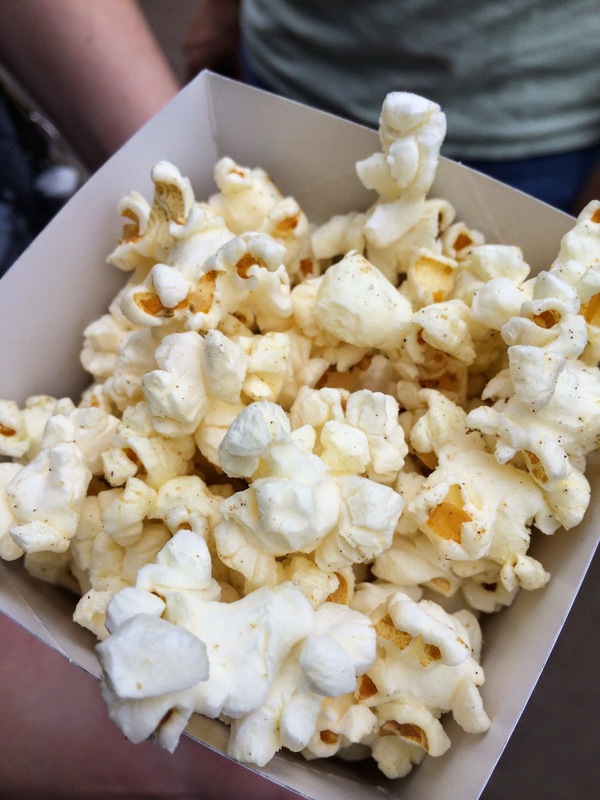 Besides these, we had Milk Tea flavored pop corn and Mickey-shaped cinnamon churro, and both are available year around. Gosh, all of them looks so delicious! 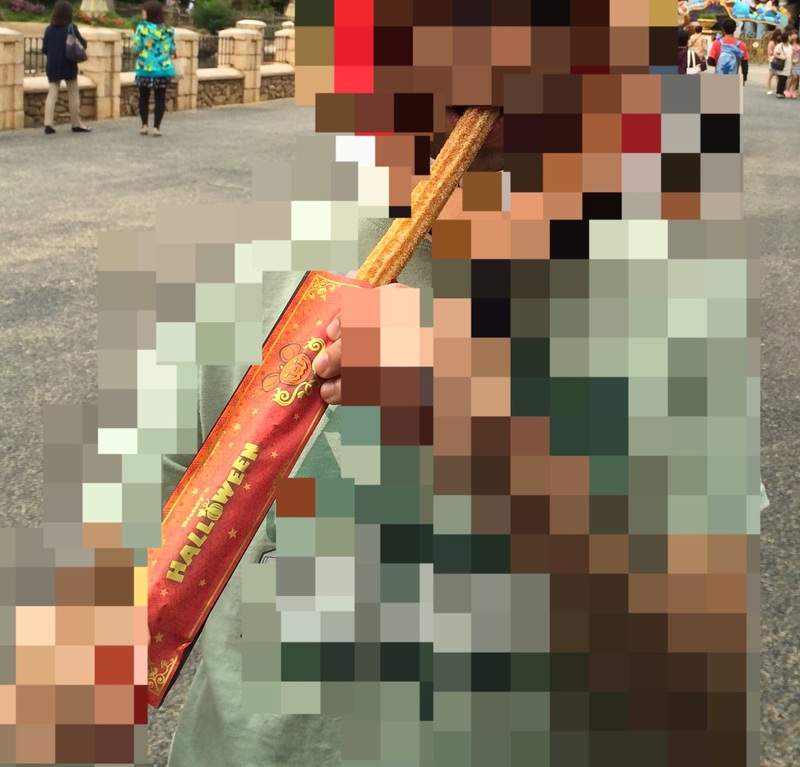 I swear Japan really has the most unique food in the world!